“What do you have that you did not receive,” asks the apostle Paul (1 Cor. 4:7). It’s a rhetorical question aimed at humbling the reader, because the answer is obviously “nothing.” And if this is true, Paul says, “If then you received it, why do you boast as if you did not receive it?” Recognizing God’s sovereign provision in all things is a humbling experience, but one that also calls for praise and adoration. 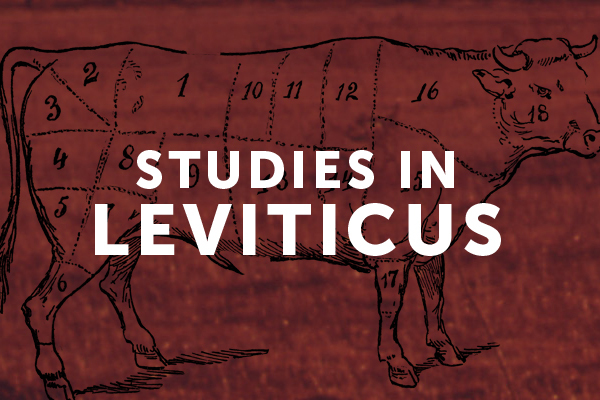 In calling the worshippers attention to God’s provision of all things, the Grain Offering of Leviticus 2 also compels a sacrificial dedication of the whole self. The Cereal or Grain Offering is an effort to give a portion back to the Lord as an expression of the belief that He is the Sovereign provider. Minhah is the word translated “grain offering” or “meal offering.” It is used throughout the Bible and extra-Biblical literature to speak of someone “giving a gift” or “tribute.” In nontechnical usage it can refer to any sacrifice given in this manner. So, Cain and Abel’s sacrifices are both called “minhah” even though one is a cereal offering and one a meat offering. In nonreligious usage we see it describes “money paid by a vassal king to his overlord as a mark of his continuing good will and faithfulness” (Wenham, The Book of Leviticus, 69). Jacob gives a “minhah” to his brother Esau as a way to try to assuage his potential wrath (Gen. 32:19ff), again communicating that idea of gift of tribute. But the Cereal offering is not merely a dedication of our stuff to God, in thanks for his provision. Rather, it is a dedication of ourselves to the Lord. This is seen even in the discussion of our labor. The Cereal offering also points to a dedication of our labor to God. God is certainly the one who provides the crops, the new grain, etc. But the preparation of the meal (not just raw materials, but baked goods), the sewing and reaping, also remind us that there is human labor involved. In some sense, then, we may view this offering as a dedication of our labor to the Lord. So, Derek Tidball writes, “Even if God was the originator of it all, human effort was involved in bringing the offering to the altar. Given this, it is fair to view this offering as a symbolizing the consecration of our daily labour to the Lord. The gifts that we utilize in the routine of our daily employment can be brought to the Lord as a gift and can find acceptance with him” (The Message of Leviticus, 54). Note, that for all our complaints about Monday mornings, work is not a necessary evil. Rather it is an act of worship (Col. 3:23; Eph. 6:7). In the Cereal Offering an Israelite was not merely dedicating his crops to the Lord, thanking Him for the provision, but he was dedicating his labor to the Lord. The discussion of the ingredients of the offering also inform this interpretation. The detailed description of preparations not only point to the labor of the worshipper as part of the dedication, but the two prohibitions and the importance of salt have specific meaning too. Tidball is correct when he writes, “Bearing in mind that these rituals were dramatic, symbolic acts that represented spiritual truths, we would be stopping short of understanding God’s intention if we did not look beyond the obvious” (48). God mandates that all offerings be made with salt. We read, “Youshall season all your grain offerings with salt. You shall not let the salt of the covenant with your God be missing from your grain offering; with all your offerings you shall offer salt” (v. 13). The unique expression “salt of the covenant with your God” is important. This is not just a case of salt as preservative or flavoring additive, rather it has something to do with the Covenant. Salt was a “key component in the offering of hospitality and sealing of covenants, and therefore seems to have indicated friendship, bonding and unity” (Tidball, 49). Allen Ross adds, “When covenants were made, each party ate the salt, which in some settings may even have been passed around on the edge of a blade of a sword. Those who ‘tasted the salt’ became covenant allies; or, if ‘salt was between them,’ they were in covenant. The requirement of salt for the meal offering, then, was filled with significance for the covenant people” (Holiness to the Lord, 105). A few other passages of Scripture speak to this same understanding: Numbers 18:19 speaks of an “everlasting covenant of salt before the Lord;” 2 Kings 2:19-22 tells the story of Elisha using salt to reverse the curse on Jericho and to reintroduce the blessings of the covenant. The people, then, are not merely offering a meal, dedicating their crops, they are rededicating themselves to the covenant they have made with the living God. “I appeal to you therefore, brothers,by the mercies of God, to present your bodies as a living sacrifice, holy and acceptable to God, which is your spiritual worship” (Rom. 12:1). All that we are and all that we have belongs to God because of Christ. We are His, and we dedicate ourselves to Him, surrender ourselves to Him in an act of worship. We no longer make Cereal or Grain Offerings, but we continue the practice of whole life dedication. It is our “spiritual act of worship.” We do it because of Christ, we do it because everything we have we have received from God. What areas of your life do you attempt to keep back from God? What areas of your life do you need to dedicate now to the one who has given you all things (2 Peter 1:3)?